Featured here you'll find 40 inspiring short walks in and around the Kingdom, stretching from the north side of the famous Forth Bridges, along the Firth of Forth to Culross, and Gleneagles and Dollar further north. 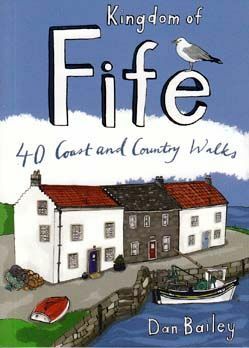 Ranging from lochside nature trails to short, exhilarating routes up into the Lomond and Ochil Hills to the best stretches of the Fife Coastal Trail and circuits around historic towns and villages, this book is all you need to really discover Fife. Many of these circular routes are suitable for families and are accessible by public transport.